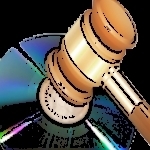 The US copyright office is being petitioned to allow the use of decrypting tools to make copies of movies for home use. BurnWorld.com: Is DVD Copying Legal? An in depth overview of the ongoing controversy surrounding the copying of DVDs.